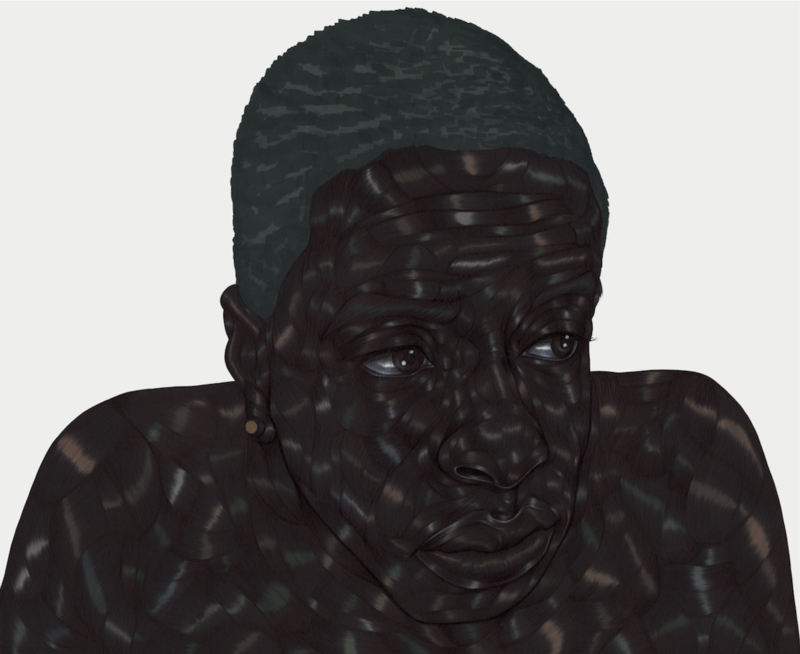 Though born in Nigeria, artist Toyin Ojih Odutola was raised largely in the United States, living in Alabama, California, and now New York. Known for her intricate drawings of human heads and figures, Ojih Odutola’s artistic practice is concerned with the representation of race, and the concept of blackness as visual marker and social construct. 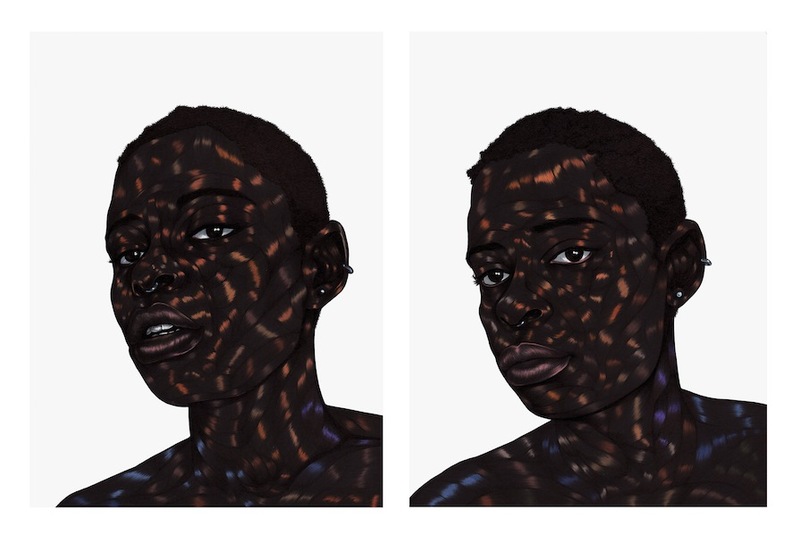 Her drawings are made through intricately and fastidiously layering black lines—building up a density that Ojih Odutola describes as “black on black on black.” Using pens and markers as her primary media, Ojih Odutola builds textures through sinewy black lines, shot through at times with metallic color. The ripples and rolls of the figures’ surfaces recall the anatomical structure of musculature, and also provide an unreal look to her often stoic figures.